What you need to know about how to evacuate a burning building. 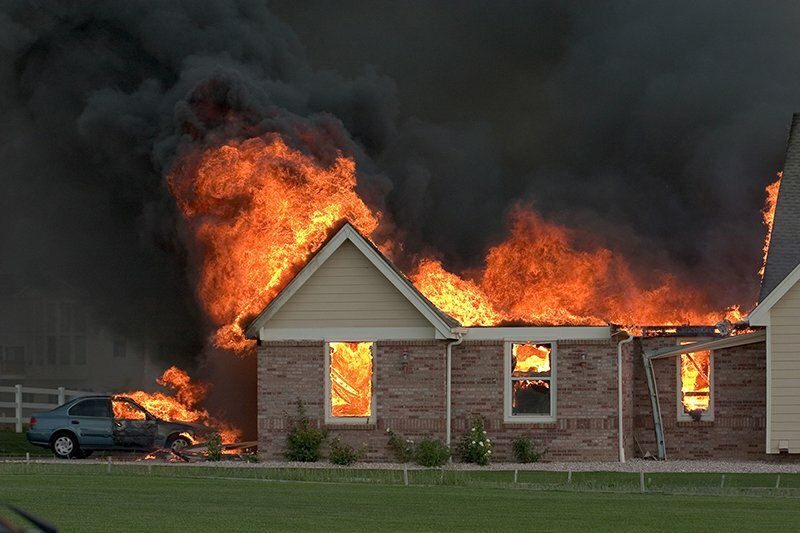 Do you know how to escape from your home during a fire? California is still in fire season now that the temperatures continue to remain high, despite summer being over. Experts say that people have as little as two minutes to safely evacuate a typical home fire from the time the smoke alarm sounds. Two minutes can pass by extremely quickly, especially if you are not prepared for evacuating. To keep your family safe, check out these escape planning tips. Home escape plans should be practiced by all members of the household twice a year. Reinforcing the plan helps your family know exactly how to handle evacuating a home fire. In a home fire, exiting through the front door may not always be possible. Map out the layout of your house, and mark two exits from each room and a path to the outside from each exit. If one exit is in flames, then your loved ones will know the second exit plan. It’s critical that you teach children how to escape the home in case you can’t help them. Assure them that firefighters may guide them out and that they know the two escape exits by heart. Reinforce that it is more important to get outside than to collect their belongings. It may be hard to remember in the heat of the moment, but try to get into the habit of closing doors behind you. When leaving a burning building, this simple act can help to slow the spread of smoke, heat, and fire. Once you get outside, stay outside. Never enter a burning building as this could be life-threatening. Be sure that the rest of your family knows where to meet up once exiting the building.